The new Jungle Friends Card Kit is available now! Be sure to get yours before they sell out! You can find the new kit HERE. I have another fun slider card to share with you today. This one features the cute little alligator. I snapped a couple of picture of the card so you could see the alligator in a couple of positions during his travels across the card. Since the alligator is fairly long, I did use two of the Spin & Slide Disks to keep him straight in the track. 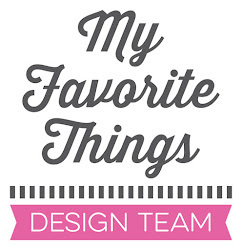 Getting so many neat ideas from you team members! Using two disks on the alligator is a great idea. Cute card! So cute. Love that sentiment. Super cute. 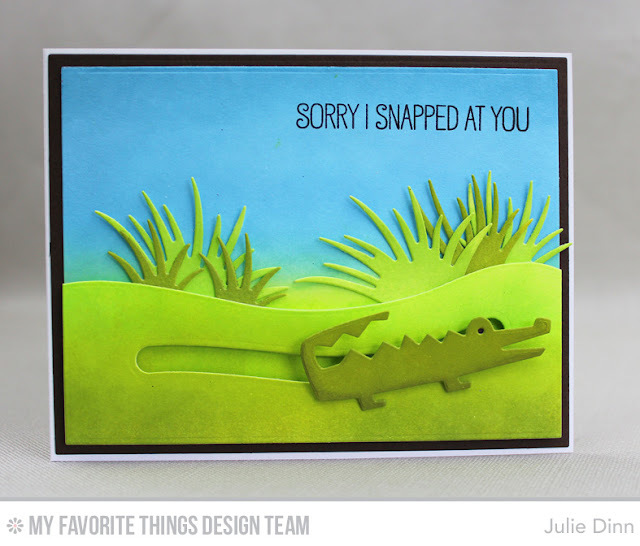 I think this kind of card would be so useful in saying sorry to a friend... especially a crafty friend! She'd be so enamored with the card she would forget all about you snapping at her to begin with! 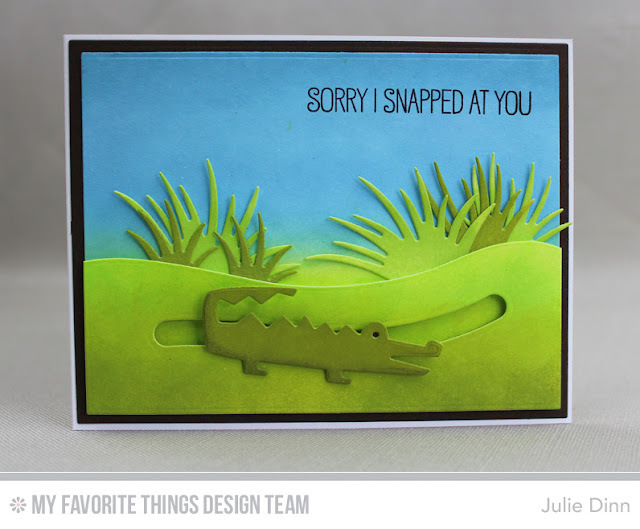 What a fun card design for this alligator. What a fun slider card. Simply adorable! I love that the wavy slider track matches the hill. I had wondered if the crocodile would need two discs to keep him level. It makes me happy the slider follows the landscape. Love the combination of the slider with the gator. Great card! 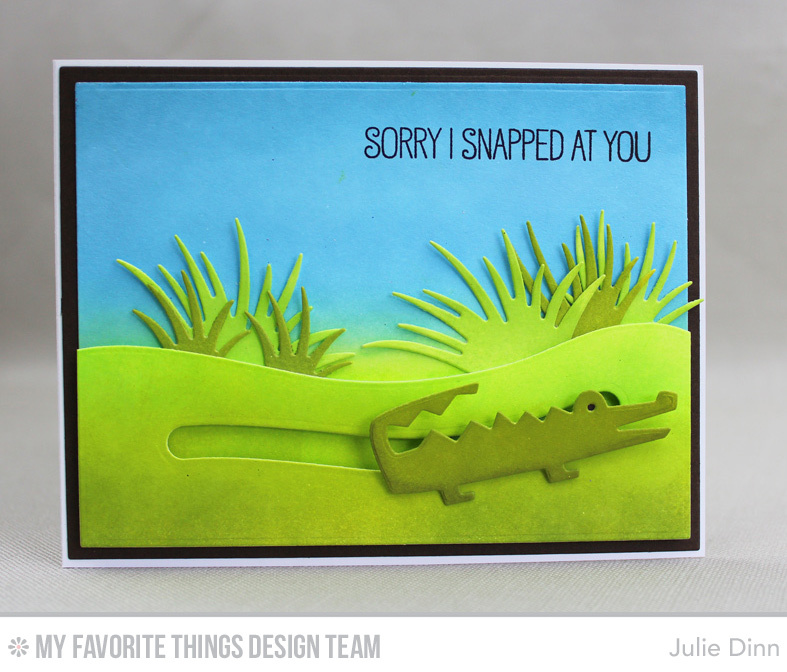 Love this sentiment with the alligator! 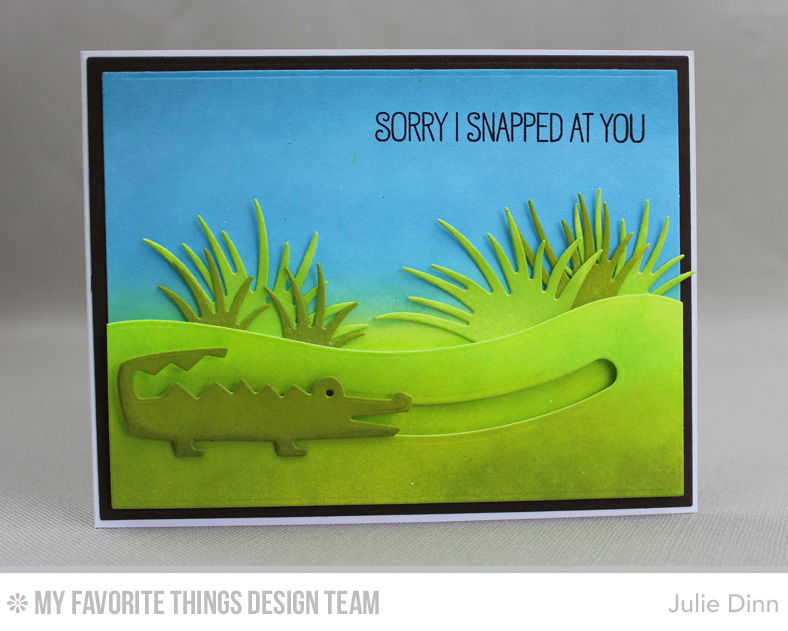 A moving sentiment so well expressed with the sliding alligator! Your sweet alligator guarantees that an "I'm sorry" would be accepted! Darling! 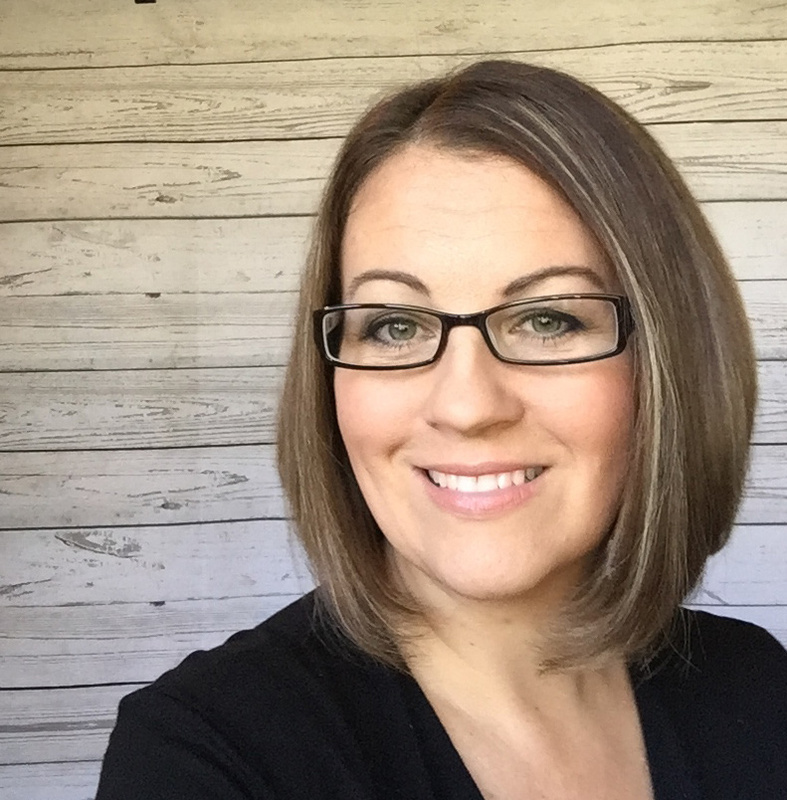 Thank you for the smiles today! there are so many fun items included in this kit. of the designs I've seen today. Love your card. Another great spinner. Such a cute card, kids will love that interactive slider element! Fun slider card! Love that cute alligator and the cute scene you created! The design team is really going to town (or should I say the jungle?) with this kit! I love all of the ideas you girls provide for us. Wonderful seeing you created for this alligator. Such a fun, slider card.